First time gmail par account banana or google terms ki jankari na hone se policy violation ki wajah se gmail account disable, banned, deactivate, locked, and suspend ho jana aam bat hai. Pahle disable gmail account ko re-enable nahi kar sakte the lekin ab aap banned gmail account ko aasani se reactivate kar sakte ho. Ab aap apni favorite Gmail ID ko fir se chalu kar use kar sakte ho. Iske liye bas aapko google ko gmail account enable karne ki request send karni hogi. Disable or banned gmail account ko fir se enable kaise karwana hai uske jankari aapko is post me screenshot ke sath milegi. 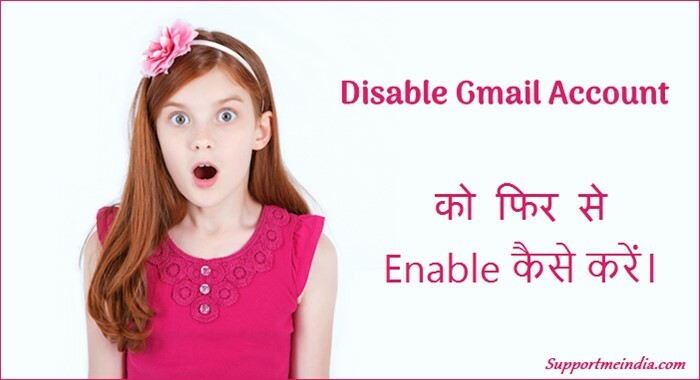 Disable Gmail Account Ko Enable Kaise Kare? Mostly, google terms of services ki information na hone par humare policy violated karne par google bina warning ke humare gmail account ko disable, deactivate kar deta hai. Jisse bahut problem hoti hai. Like aapne apne name se yourname@gmail.com email account banaya or wo disable ho jata hai to aapko fir se account banae par yourname123@gmail.com type se account banana padega. Is wajah se hum apne real name wale gmail account ko kho dete hai magar ab aap apne disable account ko fir se enable karwa sakte ho. Iske liye aapko google ko ek request send karni hai jiske bad google aapke account ka review karega or aapka old gmail account firse active ho jayega. Generally, aap gmail account ko mobile number or recovery email address ke through OTP method se fir se reactivate kar sakte ho but ye process account username or password bhoolne par account recover karne ke liye hai. Yaha hum disable account ki bat kar rahe hai so iski process thodi alag hai. 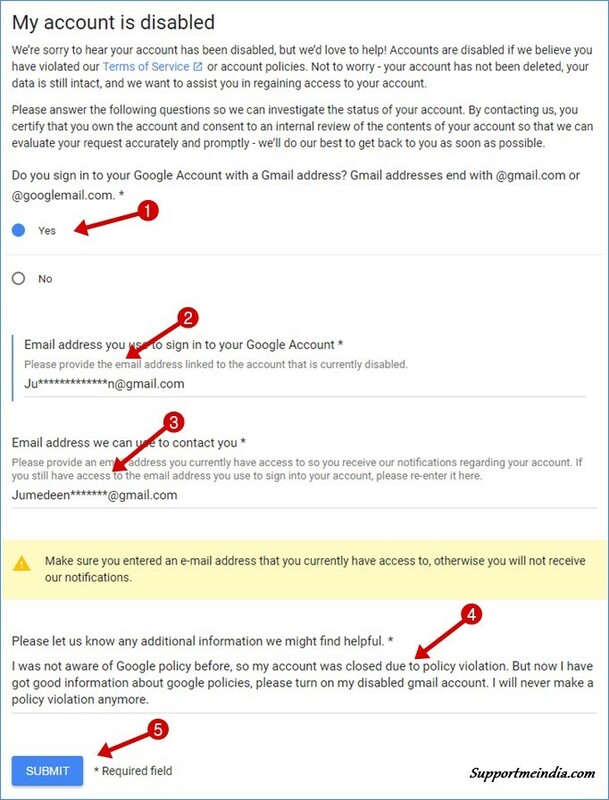 Fill form and request to google for enable disable gmail account. In 24 to 48 hours, google will send notification of regarding your account. Congratulations! your account has been enabled. Aapko sirf ye 2 step follow karne hai google ko request bhejne ke bad 24 to 48 hours wait karna hai. 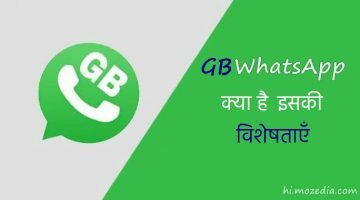 Uske bad google aapko account enabling ka message send karega or aapka account enable ho jayega. First aap My Account is Disabled Enable Disable Gmail Accounts Form par jaye. Ab yaha btaye gaye options ko sah ise fill kare. Aapko jis gmail account ko enable karwana hai uska gmail address yaha add kare. Google aapko kis gmail address par account activate hone ki notification send karega. Uske liye apna present me active wala gmail account add kare. Aapka account kyu disable hua hai or aap kyo ise enable karwana chahate hai iske bare me thodi Additional Information add kare. Finally, Submit button par click kare. Ab aapne google ko request send kar di hai. Ab aapke samne ek message show hoga. Jisme likha hoga “Thank for contacting out google accounts team, We’ll review your report and will contact you” Yani google aapke account ka review karega or review complete hone ke bad aapka account enable ho jayega. 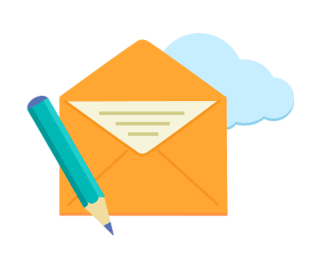 Iski jankari apake additional emaill address par send kar di jayegi. Is tarah se aap disabled, deactivate, banned, and locked gmail accounts ko reactivate, enable, open karwa sakte ho. Aapke report send karne ke 24 to 48 hours me aapko google ka recovery message mil jayega. Jisme aapke account me enable hone na hone ki jankari hogi. 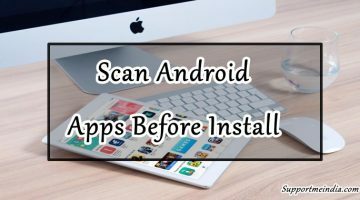 Agar sabkuch sahi raha to google aapke account ko fir se enable kar dega or aap fir se apna professional email address use kar sakoge. haa abki bar aap google policy jarur padh le taki future me aapka account kabhi disable na ho. Note:- Agar aapka gmail account serious policy terms of service policy violation se disable hua hai to shayad hi aapka gmail account enable hoga. Agar aapko ye jankari helpful lage to is post ko social media par apne friends ke sath share jarur kare taki wo bhi apne disable gmail account ko fir se chalu kara sake. Maine Godaddy par Jis Gmail Account se Login Kiya tha but wah Gmail ab Disable ho gaya hai Kya main is Trick se Use fir enable kar sakta hu ya nahi? Bhai Mene apke Related wikipedia pe article likha he. Now it will be not deleted. So bhai ap check karen zaruur 🙂 ap google pe bhi likhenge apna name to ajayega page. Very good, sab sahi hai. yes main yahi kahne wala tha picture bhi add kar do. Bro kya ham AdSense link ad ke size ko custom set kar sakte hai.. I mean uska size fix karde jaise height 200px or width 200px to usme adsense ko to koi provlem nhi hai.. Aapne ek article me bataya hai custom size set karne ka tarika.. Yes kar sakte ho but google ye allow nahi karta. sir mujhe godaddy se domain lena hai wo bhi 99 rs wala… maine aapki post read karte huye sare steps follow kiye but ab wo kaam nahi kar raha. 702 rs pay karne ko kaha jata hai ab. kya ab godaddy se 99 rs me domain nahi le sakte? agar le sakte hai to tarika bataye. Godaddy par ek hi domain 99 me milega iske liye aap customer care me bat kar lo wo coupon code add karke price kam kar denge. muje article base ek website bnani h jisme me article jese bhugol, water pollution, swami vivekand jese topic pr likhna chahta hu. iske liy mene hogotar se hosting li h. muje ye jann h ki muje iske liye wordpress , joomla ya wiki me se konsa plaform use krna chahiye. Aapki site par backlinks or traffic ka pata bhi nahi hai adsense approve kaise hoga. Bhai ap bata do ye backlinks kahan se ayenge ? Me bohat aachi or lambi posts karta hun. Kafi time hogeya he mere website pe google se traffic nahi ata, isska karan ye to nahi ke mera domain se milte pehle bohat sare domain he. Jaise meri website ka name he pro web blogging me likhta hun to meri website ki jaga dosri websites ati he fr pura domain likhta hun to fr ati he website. Please help karen. Qasim aap first blogging ke bare me achhe se sikh lo or wo apa commeting se nahi content read kark sikh sakte ho.